Meewindbeheerder.nl collects anonymous user data to improve the website. Meewindbeheerder.nl does not collect any information about your visit to the website. The Zeewind Bestaande Parken subfund is focussed on the exploitation of existing offshore wind farms. 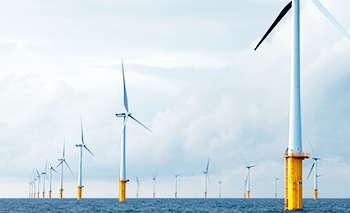 From 2008 onwards, thousands of participants have invested in offshore wind farms via Meewind. This resulted in the realisation of two wind farms in the North Sea. Belwind 1, good for a capacity of 165 MW was completed in 2010 according to plan and within its budget. The adjacent wind farm Northwind (216 MW) has been in operation since 2014. Together with Zeewind Bestaande Parken, Meewind is a shareholder in Belwind 1 (21.46%) and has provided a loan to Northwind amounting to 5.7 million euros. The revenues from the sale of energy are paid to the participants in the form of dividend. Participation in Zeewind Bestaande Parken yields a forecast return of 7 to 10% after deduction of management costs. The Zeewind Bestaande Parken subfund is expected to be expanded in the future. Once they are operational, offshore wind farms constructed and developed through the Zeewind Nieuwe Parken subfund can be transferred to Zeewind Bestaande Parken at any time. After all, the interests of already existing wind farms are placed in this subfund.